Stationed at Martins’ main Jersey Branch in Halkett Place, St Helier, Martins Bank Executor and Trustee Company (Channel Islands) Limited, looks after the complex financial needs of the Channel Islands. 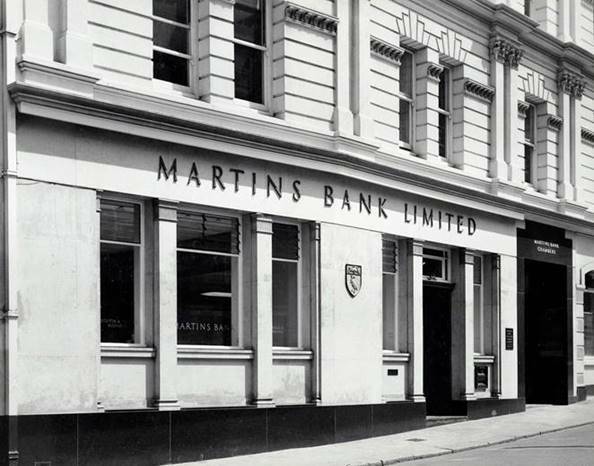 The various arms of Martins Bank Trust Company are growing rapidly throughout the 1960s, and each outlet is finely attuned to the area in which it is based. The Bank has a long history of undertaking executor and trustee work on behalf of its customers, and with the addition of a registrars department, a finance company and one of the most successful unit trusts of the time, Martins knows the value of having so much specialist knowledge and advice available in-house. 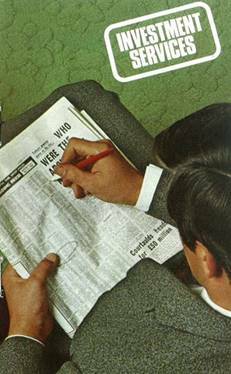 Sadly Martins Bank Magazine does not record a specific visit to the Trust Company in St Helier, so If you can help with images and/or information about this or any of Martins Bank’s branches, please do get in touch with us at the usual address: - gutinfo@btinternet.com. Martins Bank Trust Company, a subsidiary of the Bank, has a special Income Tax Division to help customers with their Income Tax and Surtax problems.With the growing complexity of tax law, more and more people are finding it worthwhile to make use of the Company's experience in this field, and in many cases the modest charge made is more than offset by tax recovered for the customer. If you do not have the time you would wish to devote to looking after your investments, or if, perhaps, you feel the need for skilled advice about their management Martins can help you through the Trustee and Invest­ment Division of Martins Bank Trust Company. The investments remain your own property and the Company manages them in accordance with your particular wishes. Generally, recommendations re­garding investments are submitted for your approval, but if you wish the Company will manage investments in accordance with wider terms of reference. In addi­tion the Company will undertake the collection of dividends, deal with 'rights* issues and attend to all necessary documentation in relation to your investments. Unit trusts enable you to invest in a large number of public companies without the bother of the many separate transactions needed to acquire the stocks and shares. You can buy units of the Martins Unicorn Group of Unit Trusts at any branch of Martins and your Manager will help you to select the Trust best suited to your investment needs. You do not need a large amount of money to invest in Martins Unicorn Trusts. There is a savings plan to enable you to buy units month by month, and Martins Unicorn Bonds, in units of £20, provide a simple and con­venient way of investing in the Martins Unicorn Trust of your choice.